A penetration sealing unit consisting of a semi-flexible cylindrical tube and two end plates which house a fireproof sponge smoke seal. The metal cylinder houses the cables and compartmentalises them as they pass through the wall, and the intumescent material fitted to both ends expand to seal the apertures in a fire. easily cut to allow cables etc. to pass through. either side of the opening. 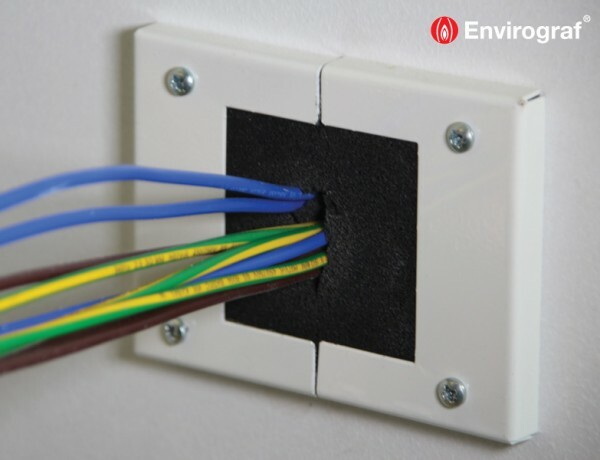 Once the system is in place, cables and services can be removed and replaced easily. Tested to BS476 Part 22 (1987), achieving 130 minutes integrity in solid walls and 67 minutes in hollow plasterboard walls.